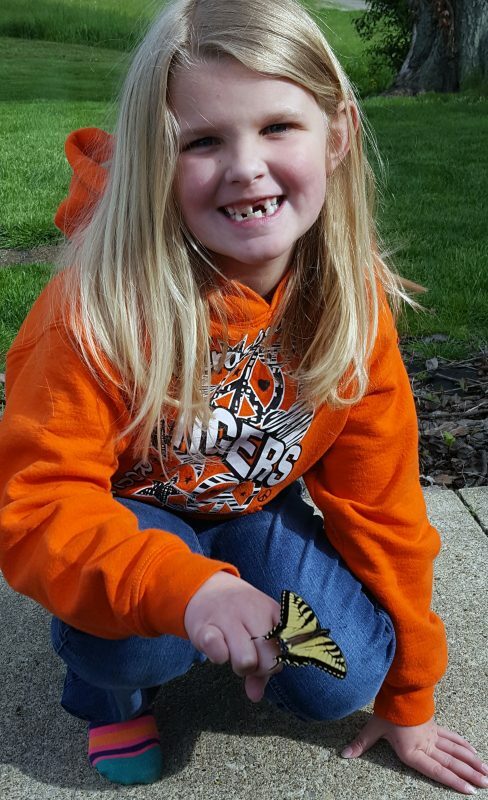 Nicole was just 6 months old when she was diagnosed with life threatening food allergies. Before we found out that Nicole was diagnosed with life threatening food allergies, we decided to start her stage 2 baby food. At 6 months old, she was already on special baby formula because she had gas, spit up and skin issues. We gave her baby macaroni and cheese and mixed berries for the first time. 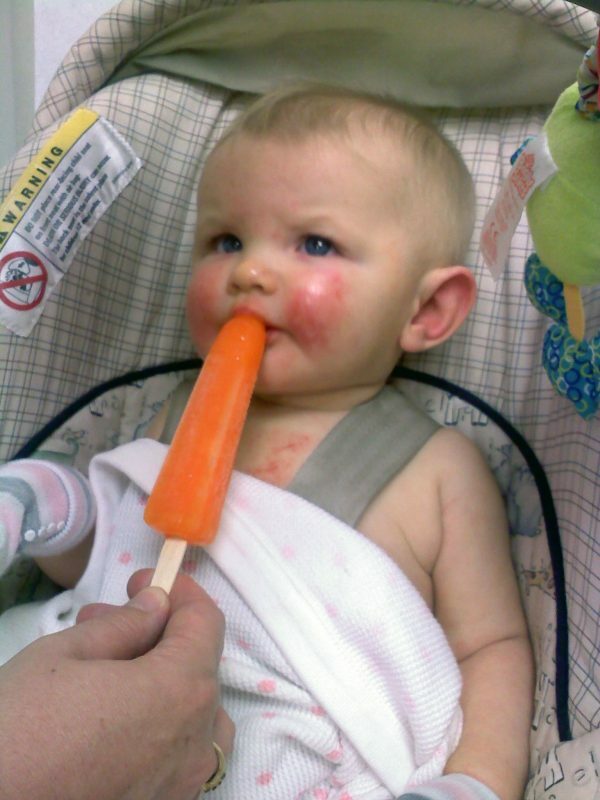 Shortly after eating her cheeks got very red and puffy, then her eyelids started to get red and puffy. At that point I didn’t know what was going on so I decided it was best to take her to the emergency room. When we arrived, there wasn’t a rush or sense of urgency, but the doctor came in and said it looks like she is allergic to something, so they gave her Benadryl and sent us on our way. 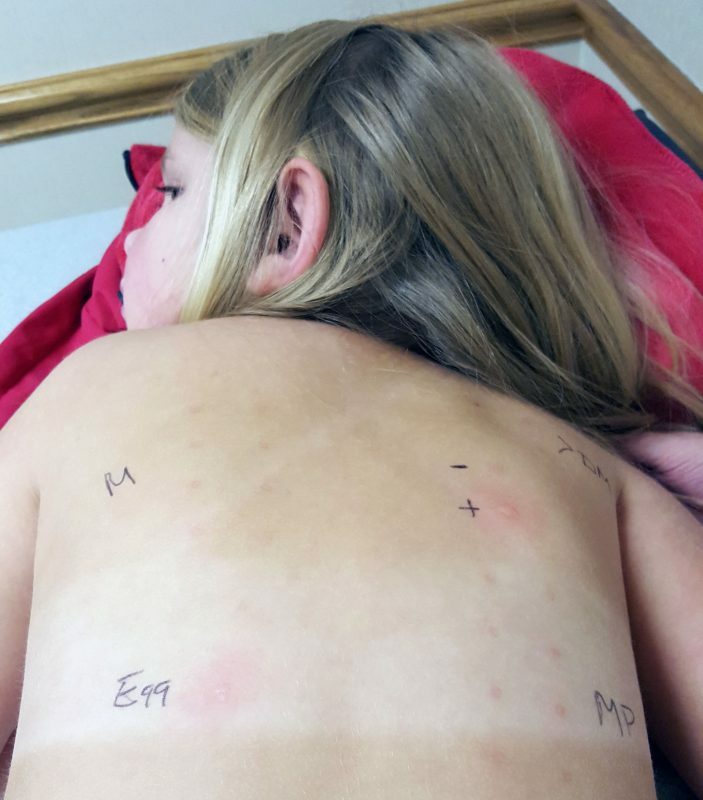 We had a follow up with her pediatrician and she recommended allergy testing for food. We had a blood test done to see what was going on and it came back positive for every kind of berry, egg, dairy, and a very severe allergy to peanuts. She also tested positive for environmental allergies. Her pediatrician recommended that we start seeing Dr. (Rajeev) Kishore at Akron Children’s Center for Allergy and Immunology, so we made the appointment. We met with him and he helped Nicole and us immensely. He sent us home with all kinds of information to help us understand and learn more about hidden allergens in food. She is allergic to the proteins in dairy — one of which is casein. Casein can be found in tuna fish. Never in a million years would I have known that! 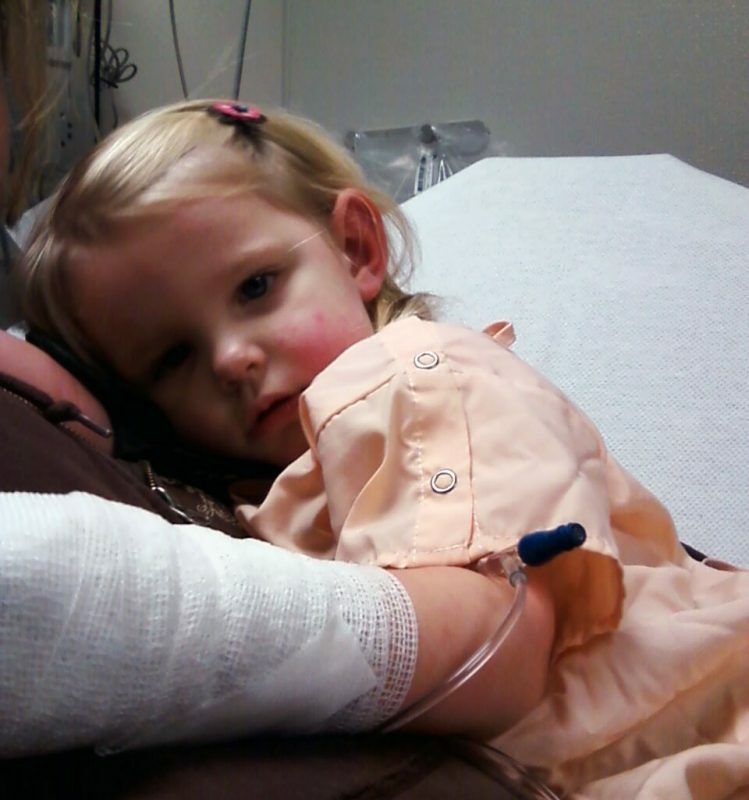 She had one anaphylactic reaction when she was 2 years old right before Christmas while at daycare. It was the worst call that I have ever received. Sippy cups had gotten mixed up and Nicole took a drink of regular milk. Within minutes she was head to toe red and vomiting. My husband picked her up and rushed her to the hospital where she was given two Epi’s. Nicole after her first anaphylactic reaction. We were very close to losing her that day, and I am thankful that she was a tough little girl. After the reaction we had an appointment with Dr. Kishore and I remember being scared and upset. He looked at me and said, now you know what to expect and look for going forward. There is a fear that comes with using the epinephrine injectors, but I can honestly say that I would not hesitate to use the auto injector in a situation like that again. Nicole started kindergarten in 2015 and while most parents cry because they are sad to see their child grow up and start school, I cried because I was afraid my daughter wouldn’t come home from school. There are so many things that can go wrong if something is overlooked and to trust someone to watch your child as closely as you do is very hard. Nicole had a great day at school and she has done well at school. We pack her lunch every day and she sits at a peanut free table with her friend every day. She has come home upset before because she couldn’t have or do something that the other children are. The most recent was for Right to Read week. They were given bingo cards with blocks with reading tasks to complete. If they got a bingo they won a root beer float, which is something she definitely can’t have. The school let her pick from the treasure box which had nonfood treats instead. I was expecting her to come home sad because she couldn’t have that reward and instead she was perfectly fine with picking from the treasure box. Nicole will always have to live with her food allergies, we still hope she will outgrow the dairy and egg allergy since she outgrew the berry allergy years ago. The peanut allergy will be with her always because of how severe it is. She knows that she can’t eat anything that mom or dad doesn’t give her. Nicole endures a test for allergens. That was very tough when she was little because we would go to a gathering and everyone wanted to feed the cute little girl. It got to the point that I made up stickers that said, “Do not feed me, I have food allergies,” just to keep people from giving her cookies. Nicole will be in second grade next year, and she will start carrying her auto injector on her own. Right now the teachers pass it back and forth. She is excited to be able to do that because to her that makes her a responsible big girl. We have been practicing with the trainer pen and while she is afraid of the needle she knows that the medicine inside will save her life. Nicole is now a healthy, happy girl. Without Dr. Kishore, Mary George or the resources at the Food Allergy Research & Education (FARE) website, I am not sure that we would be as comfortable with her allergens as we are today. It is very scary being told that something as small as a peanut or something as common as a glass of milk could kill your child. I would encourage all parents of a child with food allergies to reach out to other allergy parents for support and ideas of how to avoid or cope with certain situations. 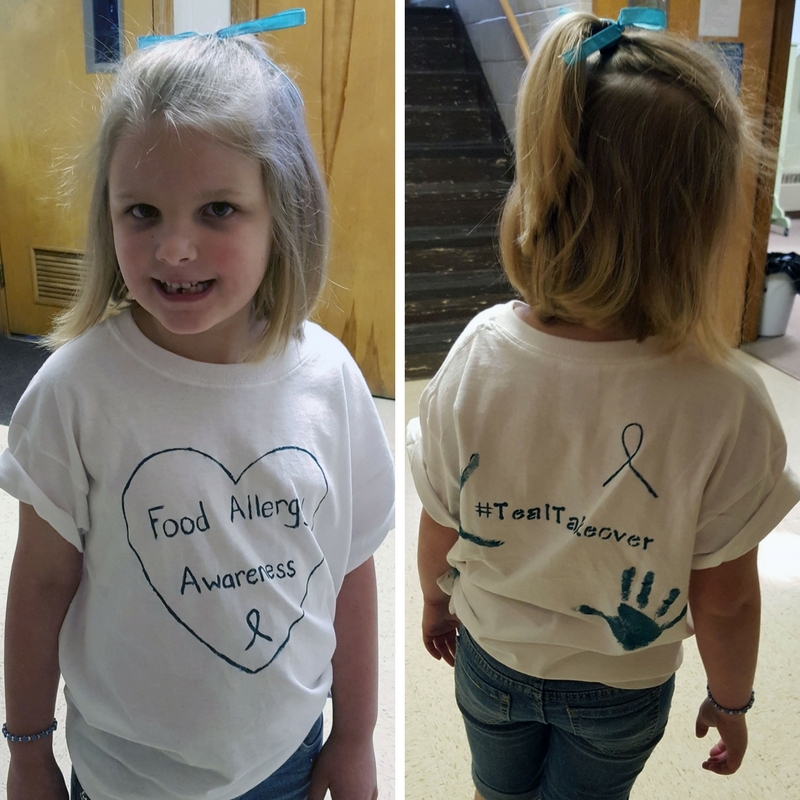 Nicole made this shirt to proudly create awareness for #TealTakeover Day last year.